Radoslaw Szulc, violin, was born in Poland into the third generation of a family of violinists and received his first lessons from his mother, Halszka Süss. At the early age of ten, he made his solo début in the Mendelssohn Violin Concerto. He continued his studies with Irena Dubinska in Warsaw and Jens Ellermann in Hanover, Yfrah Neaman at London’s Guildhall School and with Herman Krebbers in Amsterdam. 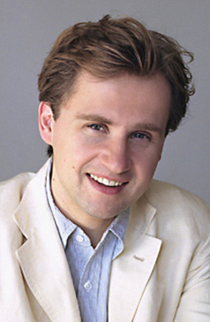 Radoslav Szulc has been honored with several prizes at international competitions, such as the Wieniawski Competition in Poland, the Sarasate Competition in Pamplona, the Spohr Competition in Freiburg, the Sibelius Competition in Helsinki as well as Vienna’s Kreisler Competition. He was awarded first prize at the International Violin Competition in the Netherlands city of Scheveningen for his interpretation of Brahms’s Violin Concerto. In 1992 he won the Henryk Szeríng Memorial Prize for Mozart interpretation. Solo appearances with top international orchestras have taken the violinist throughout Europe and all the way to Asia. He has been heard in Helsinki (Finlandia Hall), London (Barbican Hall), Amsterdam (Concertgebouw) and Munich (Herkulessaal). In 1998 he was appointed first concert master of the Symphonieorchester des Bayerischen Rundfunks, one year later he founded the Bavarian Radio Chamber Orchestra and serves as its artistic director. A number of radio and television recordings, as well as CDs, with works, among others, by Sarasate and Tchaikovsky document his widely versatile artistic skill.